This past week brought many fantastic trail miles. In fact, all of my 30 miles this past week were on trails instead of the road, which is very unusual for me. I loved it! I'm feeling a bit obsessed with researching trail races at the moment, although I imagine I'll do those as weekend fun runs and not true races. I like to take it easier on the trail and to really enjoy the great scenery surrounding me. 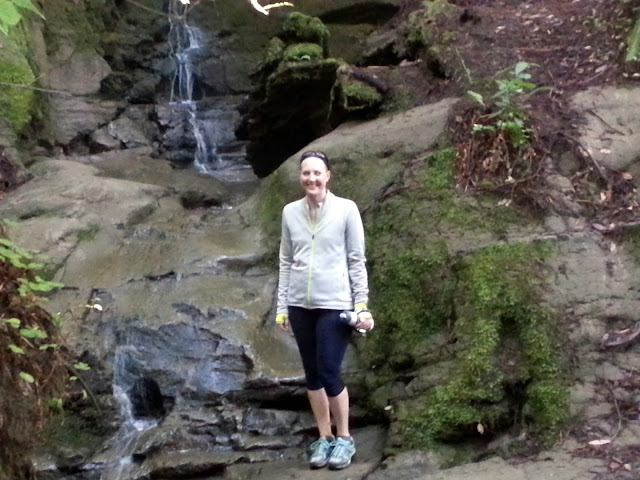 Last Monday, I ran 10.4 miles with Alisyn and Matt at Nisene Marks State Park for the first time. We had fun and ran mostly single track trail including a couple of creek crossings and pretty steep climbs. I can't wait to go back there again. The post-run breakfast at the 'Hole in the Wall' cafe was awesome too. On Saturday, I headed to Huddart Park with Kevin, Alisyn, and Matt for the Crystal Springs Trail Half Marathon (22 mile for Matt) organized by Coastal Trail Runs. 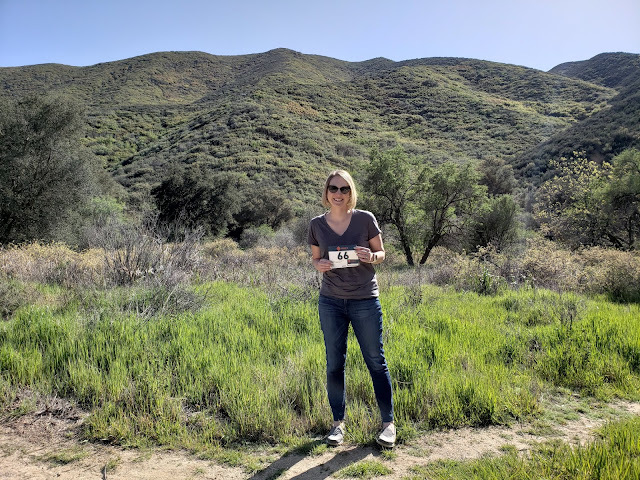 I've run and volunteered for this race organization, and they put on very fun, low-key trail events. My only goal for this event was to beat my other trail half marathon time of 2:59 in 2009. I planned to enjoy it, knowing I'd end up walking some of the hills and running a slower pace on trail. The course was pretty tough, basically all uphill for the first half. And it felt like it too! I stuck with Kevin the whole time and then with Alisyn after we caught up to her from getting separated at the start, and we were all feeling it. I'm not afraid to say there was quite a bit of walking on that very long (and sometimes very steep) uphill portion. I love the Coastal Trail Run aid stations because they have Clif Shot Bloks, and they have a ton of other goodies like pretzels, M&Ms, peanut butter sandwiches, cookies, potato chips, Gu. The trail leveled out for a mile or so after the aid station and then climbed up again, but once we turned around it was glorious. We picked up the pace easily on the long downhill sections and I felt like I was flying through the forest. We popped out of the woods and finished the last mile or so on the road back to the start area, although I didn't even realize we were so close. GPS isn't accurate on the switchbacks and I thought I had at least another mile to go. The next thing I knew we were back and crossing the finish, feeling great. The first half was super tough, but I had a second wind with all the downhill and didn't even feel that tired when we finished. I could have pushed harder, but that wasn't what this event was about for me. I absolutely loved the run and finished way ahead of my old trail half time at 2:41:54. Naturally, I celebrated with a beer, this time at Steak Out in Mountain View. They have a great beer selection and equally great food. 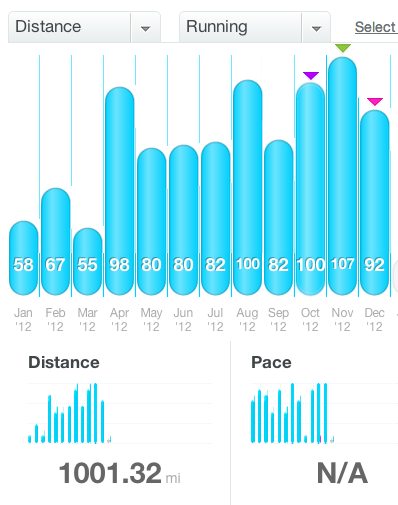 In other exciting news, I ran 1000 miles in 2012 for the first year ever! This wasn't a specific goal, but when I realized how close I was by tracking on DailyMile, I had to finish it. The Nisene trail run took me to slightly over 1001 miles on the year. I've never actually tracked the whole year before, but I'm still quite sure I've never hit that mark. 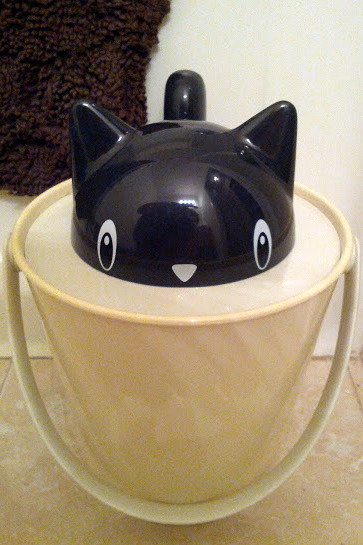 Last, check out this adorable cat food holder I found on Fab.com. The tail is a scoop! Haha yes, it was definitely tough. :) Great job on your race too. 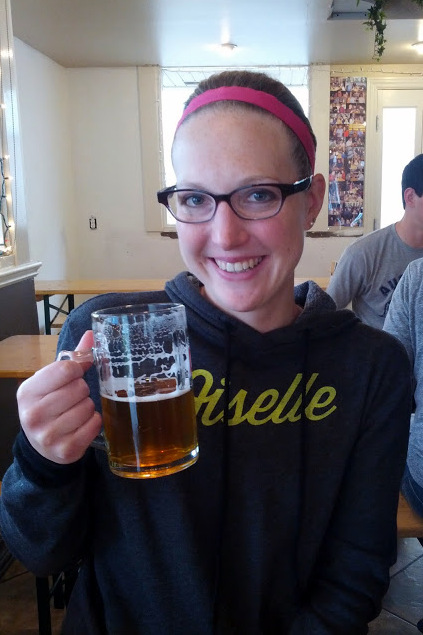 "Racer 5" sounds like a very appropriate post-race beer! Great job on the trail half - I'm too chicken and klutzy to give trails a try. 1000 miles is great! And great job on your trail half. I'm so not coordinated enough to run that long of a trail race! I LOVE trail races! Looks like yours was beautiful, too. Way to go crushing your old time! Awesome! I want to do that in 2013! You should - highly recommended! Great job on finishing and beating your previous trail time! That's awesome! I love running on trails. I find road runs so stressful. I can't wait till they're over right from the start. Trails on the other hand keep me entranced from the very start. The scenery, the uneven trail, the climbs...everything. And yeah, even come race day, I can't help but stop and snap a photo, heh. Anyway, congrats again on beating your previous time and hitting 1,000 miles! Here's to some great runs this year!